NEW ORLEANS – A woman claims that she slipped and fell on an unmarked and wet floor. Patricia Williams filed a suit against ABM Janitorial Service-South Central Inc. in the Orleans Parish Civil District Court on April 25. According to the claim, the plaintiff was caused personal injury on Oct. 6, 2015, when she was working at 2251 Lakeshore Building 3. 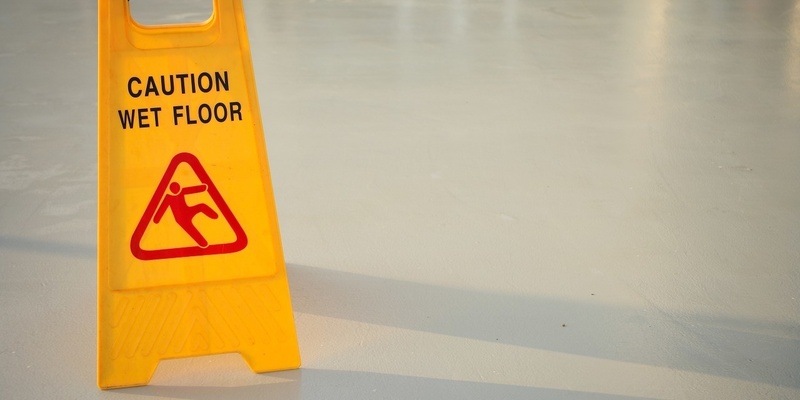 The suit states that the premises had been cleaned by the defendant's employee, and that as the plaintiff stepped out of the elevator, she was caused to slip and fall on the wet floor. She alleges she injured her neck and re-injured her back in the fall. The defendant is accused of negligence through failing to place signage to warn of the danger. The plaintiff is seeking an unspecified amount in damages. The plaintiff is represented by Rudolph A. Piedrahita, B. Scott Andrews, Kirk A. Guidry and Donald W. Price of Due', Price, Guidry, Piedrahita and Andrews of Baton Rouge.